Of course, we started the day after Christmas practicing the no spend concept. I did not realize how often I gave into the “I want something different. Do we have to? Can I have this instead? Can Dad run to the store?” until we created the “Just Make Do” phrase. In all honesty, what they ask for is not necessarily expensive or specialty items but it ALL adds up. Perfect example: Last night we had beef and noodles, mashed potatoes, corn, green beans and biscuits on the menu. I know my eldest cannot have the beef or noodles and my youngest cannot have the corn. With that in mind we premade chicken in the crockpot for freezer meals and made sure it was ready for my eldest to have with her dinner as well. The beef and potatoes were leftover from supper earlier in the week, the broth was frozen from a previous roast and everything else came from our cabinets. The noodles…the noodles were the cause of all kinds of discussion. GASP! There was only a half of a bag of noodles! There aren’t enough noodles! We have to run to the store! We have to have something different! We will starve on a half a bag of noodles! No, folks. No, we won’t. Eat some biscuits, eat extra veggies, eat more potatoes. I am tired of having tons of leftovers and tossing food out. Guess what? We ate supper. No one starved. There were even leftovers of EVERYTHING including beef and noodles. At the time, the “discussion” about having “enough” upset me and I felt guilty but I am glad I stuck to our “Just Make Do” plan. Note: Our family agreed before hand to work together towards our saving, decluttering and the “just make do” goal not just for January but for the year. I have tried before and I cannot do it without their cooperation. It is like trying to help a drowning man who wont let go of his 500lb treasure. You can’t make much progress. 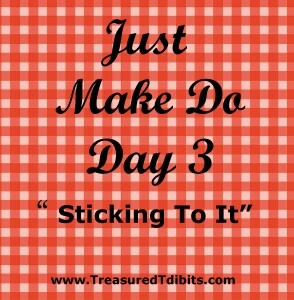 How is your “Just Make Do January” coming along? Any glitches? Anything you have said NO to so far? IF you are joining us for Just Make Do January we would love to hear your comments below. 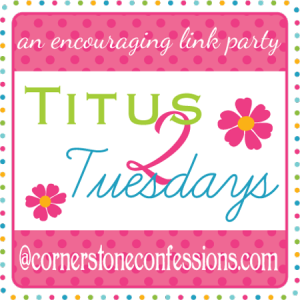 If you are a blogger and are sharing the journey on your blog please be sure to share a link in the comments and join our weekly “Sharing Saturday” Link Up Party and share there as well. 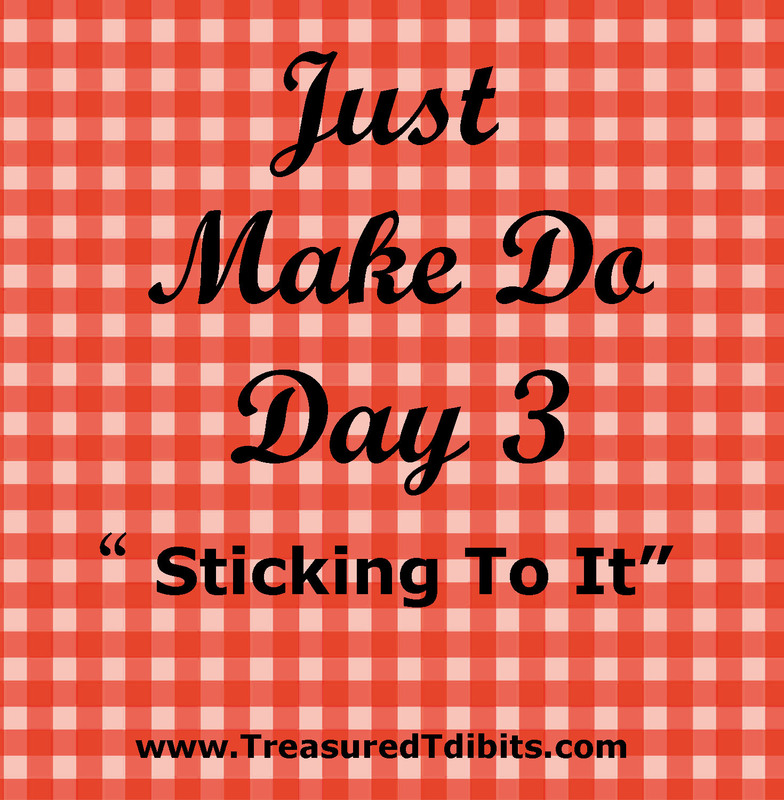 Would you like to receive daily reminders and encouragement for “Just Make Do January”? Then sign up below! If you would like to receive updates for more than just this series be sure to “like” or follow us on Facebook, Pinterest, Instagram or by email/RSS feed.